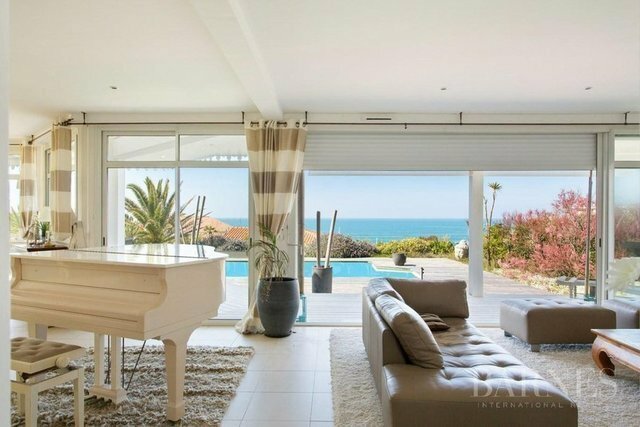 Biarritz, 100 m from the beach and nearby Ilbarritz golf course, a beautiful house for sale in California of 225 sq.m with stunning views over the ocean. This pleasant and flat land of 1 110 sq.m. with a heated swimming pool surrounded by a beautiful teak terrace, is perfectly located over the ocean and part lawn. Garage. Exceptional and rare.